As a former Food Editor for O Magazine and Reader’s Digest, Rachel Hofstetter found herself spending most of her time connecting with culinary entrepreneurs. She soon started falling in love more with their stories than their recipes, a transition that inspired her hit book Cooking Up A Business…followed by a whole new career as an successful entrepreneur in her own right. 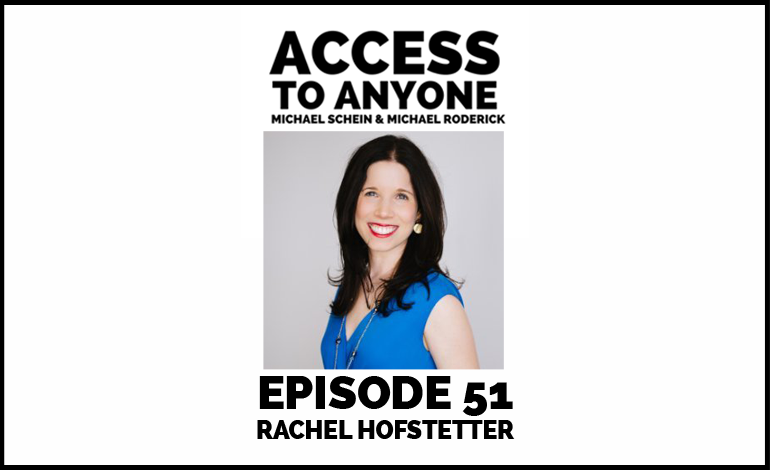 Rachel Hofstetter is a driven connector and storyteller, with a special love for matching creative people and ideas. She is the Co-Founder and CEO of guesterly, a customized “Who’s Who Guide” that creates an easy reference for seamless networking. Rachel is also the CMO and VP of Marketing of Chatbooks. She also runs an online education experience, PR School, where she teach entrepreneurs how to effectively connect with editors and press in meaningful ways.